Apple is reportedly working with Asian suppliers to test multiple hardware versions for their upcoming push into the living room. 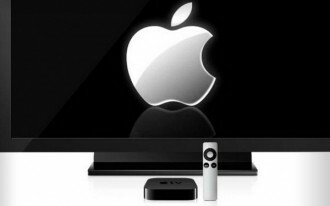 The sources working at various suppliers, who asked not to be named, said Apple has been testing designs for a large-screen high-definition television according to a new post from Bloomberg. Cupertino is rumored to be working with Hon Hai Precision Industry Co. (otherwise known as Foxconn), the same company that helps to assemble Apple’s iPad and iPhone, as well as Sharp Corp. to build the sets. One of the sources told the publication that the TV isn’t an official project yet simply because it’s in such early stages of testing. They have reportedly been testing designs for a number of years but as we know, nothing has been shown publically as of yet. That status will likely change over time, granted Apple doesn’t scrap the idea completely. Such a scenario would seem unlikely, however, given the intense interest from the media and analysts on the subject thus far. Foxconn and Sharp appear to have been aligning their resources to help Apple with this venture for some time. Back in July, Foxconn chairman Terry Gou purchased a 37.6 percent share in an LCD factory in western Japan belonging to Sharp. Foxconn has the option to receive up to half of the panels produced by the facility as a result which of course can be used for television sets if they so desire. Sharp built the Sakai LCD plant in 2009 at a cost of more than $10 billion. It’s said to be suitable for producing panels that are 60-inches or greater in size. In fact, Foxconn helped Vizio build 80-inch sets earlier this year using panels from the Sakai facility.